Your big day is coming up before you know it. You’ve already decided that you’re going to join your life to the person you love most. What comes next? Hopefully, your wedding will go off without a hitch: no accidents, no injuries, and nothing unexpected. Unfortunately, things might not go as smoothly as you had hoped. As you’re preparing for your wedding, consider how the potential for the accident could impact your family–not to mention how it could impact your finances just as you’re joining your life to your spouse. Wedding insurance is an incredibly smart move that can help ensure that you’re able to get your new life off to the best possible start. In the middle of the ceremony, the unity candle topples over, catching the carpet on fire–or worse, landing right on your mother-in-law’s new dress. Minutes after you cut the cake, there’s a disaster: someone fell out on the dance floor and broke an ankle. No one likes to imagine that those things will be part of their wedding, but for all too many couples, disasters do strike in spite of their best efforts to plan a safe, beautiful ceremony. Wedding insurance might not be able to prevent the disasters, but it can help prevent you from being held financially liable for them. There are plenty of excuses for not choosing wedding insurance, but going forward with your insurance is a smart move. Doesn’t the venue have insurance? Most venues do carry insurance, though you’ll find some locations where insurance is unrealistic–a public beach, for example. Venue insurance, however, doesn’t cover the items you bring into the venue yourself. Whether you’re making your own directions or a drunken groomsman accidentally causes an accident for another guest, you don’t want to find yourself held liable. Not only that, venue insurance won’t protect you financially, regardless of what happens. 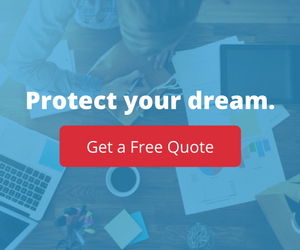 The venue’s insurance policy is designed to protect the company and its employees. Wedding insurance, on the other hand, is designed to protect you. My friends and family would never sue me for an accident. Most people don’t want to imagine that the ones closest to them would sue over an accident, but it can happen! Consider your guest list: does it include that uncle who’s always starting trouble? That aunt who always has to make a scene about everything? Sometimes, even the people you love most will react badly in the aftermath of an accident. Not only that, your wedding insurance can help offer financial protection to your loved ones: if they’re hurt during your ceremony, you’ll be able to help provide for their care without taking the money out of your own pocket. 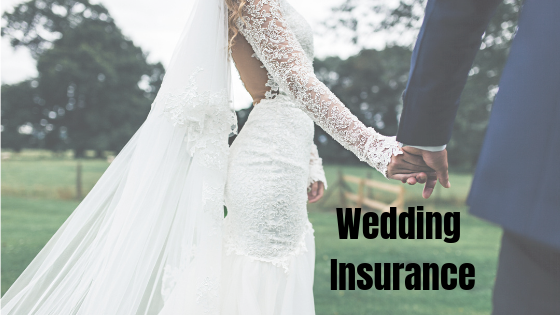 Whether your big day is just a few weeks away or you’re still in the basic planning stages of your wedding, now is the perfect time to make sure that you have wedding insurance. If you create your policy now, you’ll be able to save $100 on your wedding insurance. Whether you’re looking for a one-day policy just to cover your big day or a three-day policy that will help cover the whole wedding weekend, those savings will make it easier to secure insurance while celebrating the day of your dreams. Are you ready to take out your wedding insurance policy? Is protecting your friends and family members a top priority as they gather to celebrate you and your new spouse? If so, contact us today to learn more about the wedding insurance policies we offer. From small ceremonies to the biggest wedding of the season, we offer policies that will help protect your loved ones financially if an accident does occur during your wedding.